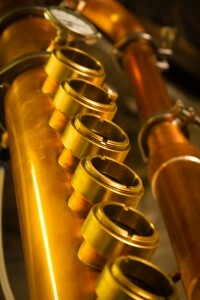 The many ingredients in Genius Gin are balanced and treated with individual care. Our incredibly detailed two-part “Hot and Cold” process caters to the delicate and unique characteristics of each botanical as exposed to different temperatures. First, we ferment and create a low % alcohol (essentially a beer), to be redistilled for purification and strength reasons. 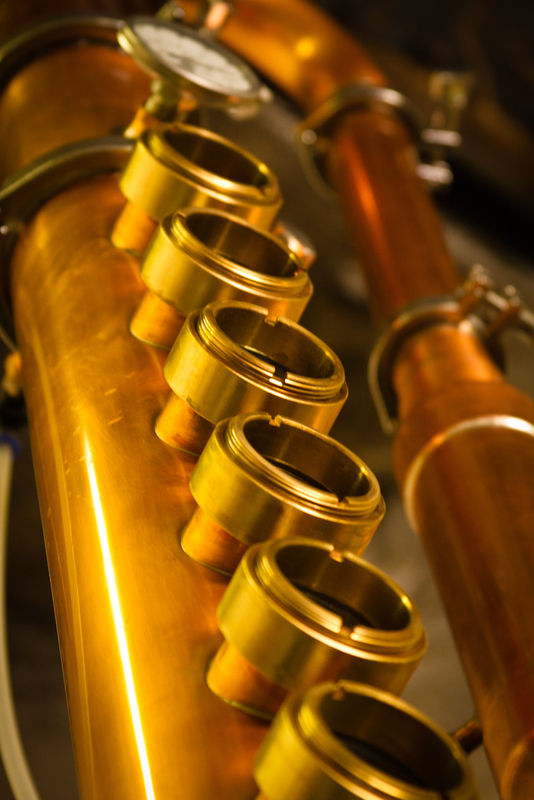 This first run is prepared through our beautiful 6-plate copper still. The resulting product is then infused at room temperature with the first half (the Cold) of our proprietary botanical blend for over 72 hours. (this blend includes: Elderflower, Lavender, Lime Peel, Angelica Root, and more….) When ready, this fragrant and colorful mix is distilled again (the Hot) in a process that pushes vapors through our remaining ingredients enclosed in a basket within the still. These heat activated ingredients include: Juniper, Cardamom, Coriander, and a few others..) Each “Hot” preparation involves the toasting and muddling of all the fresh ingredients. (think “made to order” Gin). The resulting flavor is not only beautifully balanced, fragrant, earthy, and easy to sip, but it’s also the most accessible Gin you will ever taste. We don’t take shortcuts and we don’t take your tastes for granted because you deserve the best Gin possible.